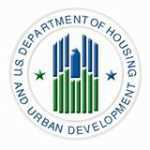 WASHINGTON, DC – August 6, 2012 – (RealEstateRama) — The U.S. Department of Housing and Urban Development (HUD) and the U.S. Department of the Treasury today released the July edition of the Obama Administration’s Housing Scorecard – a comprehensive report on the nation’s housing market. Data in the Housing Scorecard show continued signs of recovery as foreclosure starts and completions declined in June, though officials expect activity to increase in the coming months as firms lift delays in foreclosure processing. In addition, the inventory of houses for sale remained low; at current pace, it would take 6.6 months to sell the supply of existing homes on the market and 4.9 months to clear the new homes on the market. Experts consider a six month supply of homes to be a balanced market. Distressed sales remain a key factor, however, as the impact of serious delinquencies and underwater mortgages continue to temper market gains. The full report is available online at www.hud.gov/scorecard.